Fly Asia’s first airline, and rely on more than 70 years of flight expertise. Earn Flight Miles with the largest network in the Philippines, and many more destinations around the world – including North Asia, Southeast Asia, Australia, North America, Middle East and Europe. Simply quote your Mabuhay Miles membership number when making your reservations, and present/quote your membership card/number upon check-in. 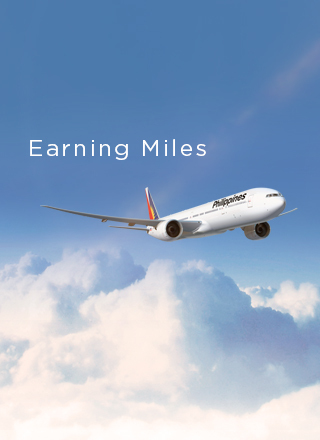 Your Flight Miles will be credited to your Mabuhay Miles account.